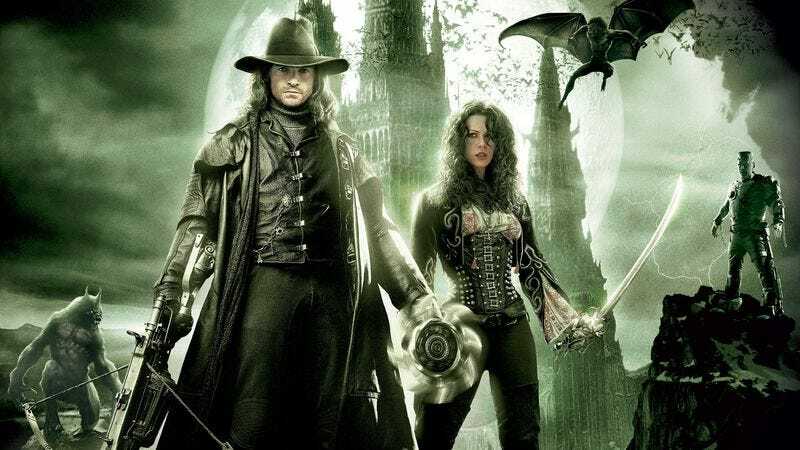 Universal has announced the writers for its Van Helsing reboot, one of the mummy-hunting cornerstones of the planned film franchise the studio’s been building around its famous stable of cinematic monsters. The new film—which sounds like it’s going to be wholly separate from the elaborate, angel-and-steampunk-Dracula-heavy nonsense the studio shackled Hugh Jackman with for 2004’s Van Helsing—is being penned by screenwriters Jon Spaihts and Eric Heisserer. Between the two, Spaihts is the one with his claws more deeply embedded in the Monster Cinematic Universe, as he’s already been tapped to write the modern-day Mummy film that’ll help the potential franchise slowly shamble its way into the movie-going light of day. (He’s also a writer on Marvel’s Doctor Strange, where he’s presumably gleaned lots of continuity-building secrets, like, “Put a thing in after the credits, we guess.”) Heisserer, meanwhile, is a reboot/remake/remonstering connoisseur, having previously worked on recent installments of both A Nightmare On Elm Street and The Thing. Together, they’ll be attempting to mortar together a bunch of 80-year-old movies, public domain literary properties, and half-remembered nostalgia into something audiences might actually want to see, a prospect that we guess will give them a good mindset for writing a movie about a mortal, fallible man battling against hideous, impossible odds.